Offering you a complete choice of products which include straight built (bare blade) type textiles spindle, heavy duty spindle for ring doublers and extra heavy duty spindle for ring doublers. we supplied spindle with specified insert as Texpart, SKF,(teraspin ) , Jaylaxmi . 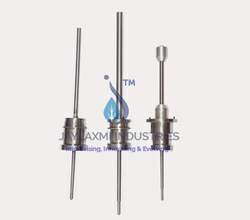 we supplied spindle with specified insert as Texparts, Jaylaxmi . High speed up-to 8000 rpm. we supplied spindle with specified insert as Texpart, Jaylaxmi . We used standard bearing material with specified hardness. Speed: 3000 to 7000 rpm.